Meghna Chakrabarti and Ted Fintersmith discuss innovation and education at Brookline Public High School on Sept. 20. 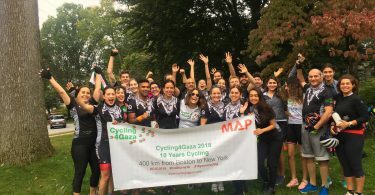 Photo by Josee Matela / BU News Service. BROOKLINE — Ted Dintersmith, author and filmmaker, shared insights gathered from a 50-state road trip he did to visit schools across the nation. He compiled stories from each state into his latest book “What school Could Be,” which aimed to expose the pitfalls and triumphs in the modern-day classroom. 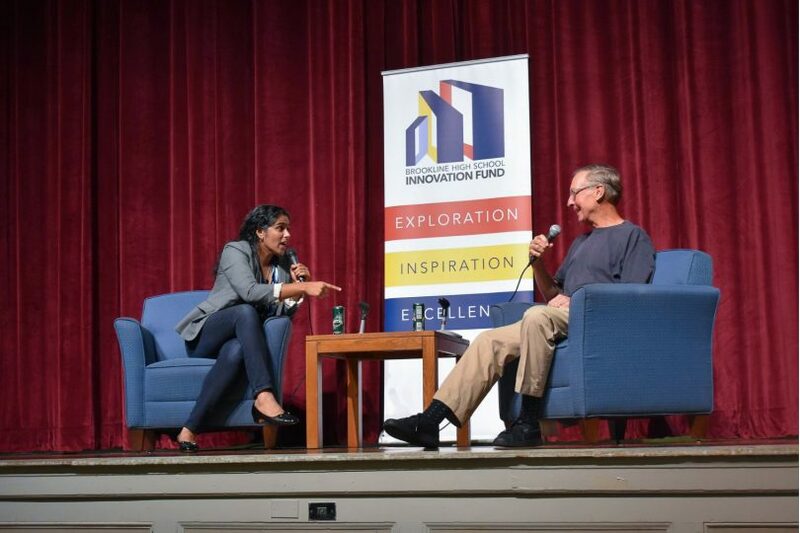 WBUR host Meghna Chakrabarti, a Brookline resident and parent, joined Dintersmith to discuss the role of innovation in the classroom, before an audience of 400 people gathered at the Brookline High School Innovation Fund 20th anniversary celebration on Sept. 20. “If you let kids have a voice in what they want to do, if you trust and respect teachers, and you align what’s going on in school with what’s important in life — we’re capable of doing amazing things,” he said. Kindergartners in Indiana were building robots and 3D printing. Students in North Dakota had a weekly period for self-directed learning. Admissions officers in the United States Naval Academy had “completely rethought SATs and grade point averages.” Once completed, they would teach other students what they gathered. “It is a modest predictor of first-year GPA, which is a modest predictor of basically nothing,” he said, eliciting a round of applause. By placing too much focus on test scores, Dintersmith argued students were being only tested on their parents’ tenacity. Chakrabarti, a Brookline parent, asked Dintersmith what could be done in the Brookline School District to move forward. Dintersmith said that he would have included Brookline as an example within his book if he had visited previously. “This district is admired by people all over the state,” he said. With watching eyes on the town, he implored the school district to become an example. The Brookline High School Innovation Fund, which sponsored the discussion, launched a variety of initiatives within the high school in 1998 and now is sponsoring programs such as the African-American and Latino Scholarship Program and the Mindfulness Initiative. Brookline High School Headmaster Anthony Meyer explained how teacher-led initiatives received the flexibility to answer students’ burning questions. 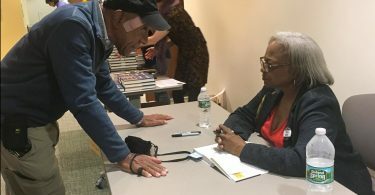 He pointed to cultural clubs meant to provide students of color with a place to talk and programs such as “Finding Yourself in the Curriculum” for those who might felt misrepresented or underrepresented in lessons. Brookline High School Junior Cole Harris, an aspiring sports agent, shared how he found a “safe haven” in the club with students who possessed similar backgrounds. Myles Avalon, a junior with his sights set on medicine, said he felt uncomfortable going to an elementary school that was all white. He was grateful to find a diverse population in high school. Josee Matela is a Boston University journalism student writing as part of a collaboration between the Brookline TAB and BU News Service.